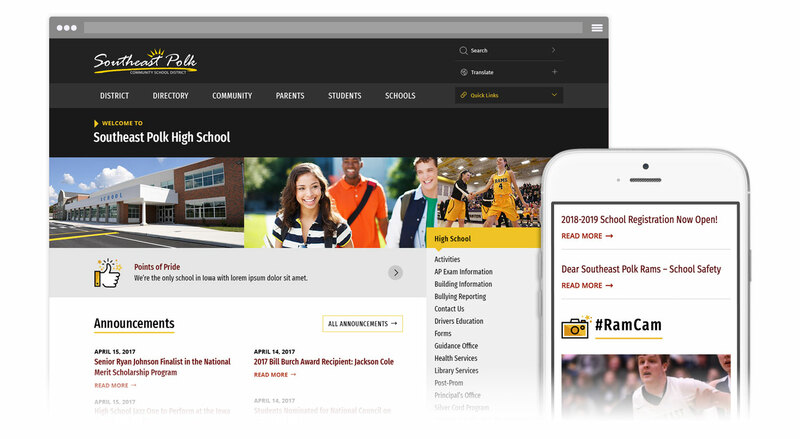 Southeast Polk Community Schools is a school district rich in heritage with a strong sense of community. 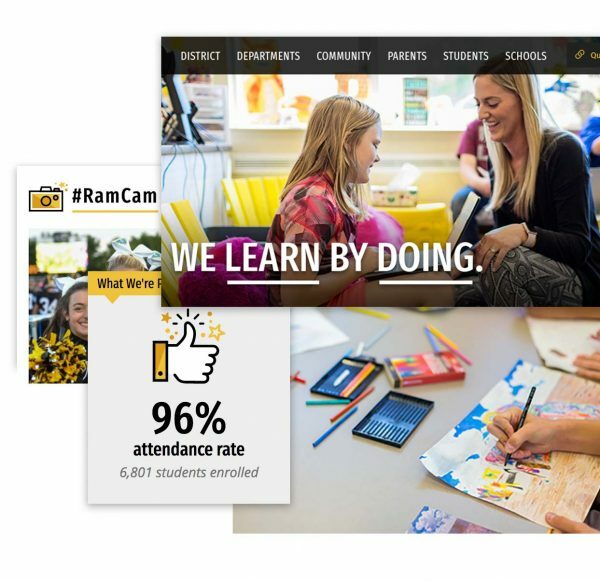 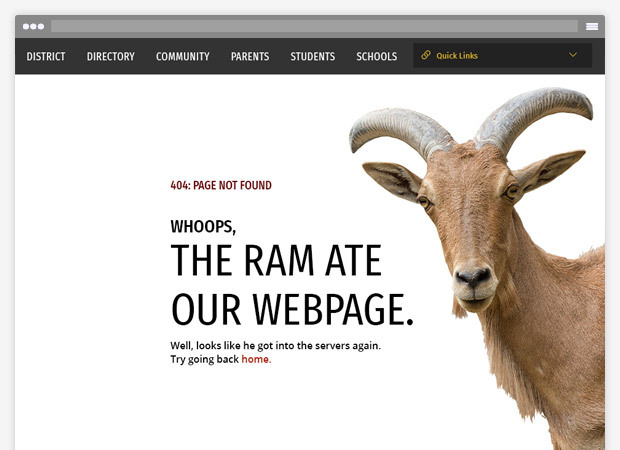 Formed years ago when three communities created an area school district, their mascot, the RAM, illustrates their sense of community because it's an acronym for the three communities (Runnells, Altoona and Mitchellville). 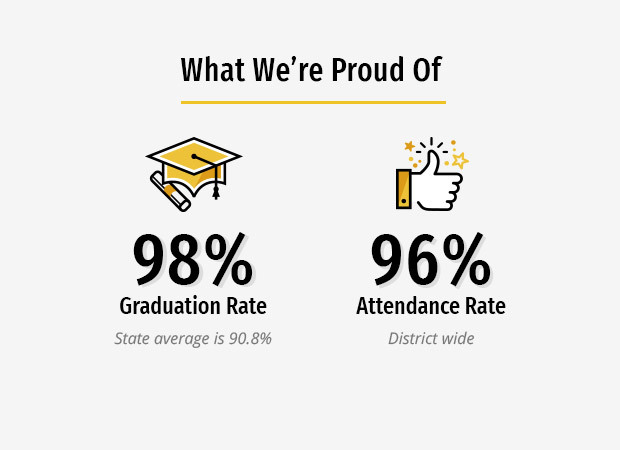 Southeast Polk Community School District comprises 980 staff serving more than 6,800 students and their families. 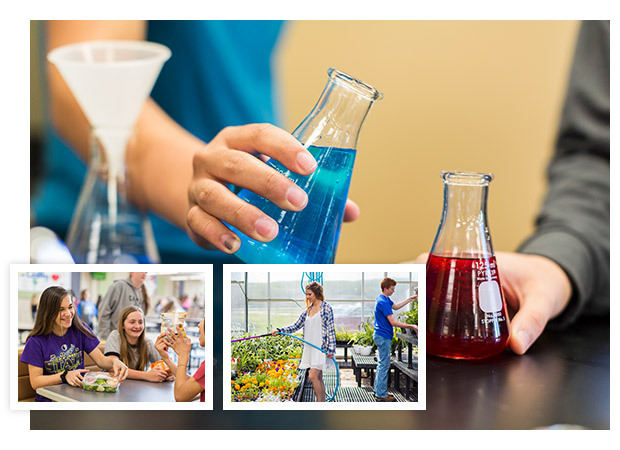 The new website highlights the district’s leading initiatives in science, technology and agriculture as well as its fun and inclusive culture. 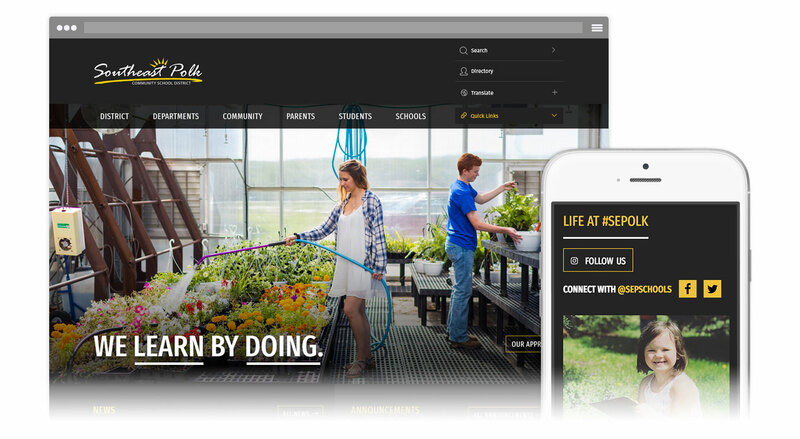 Every detail was thoughtfully crafted, from the navigation bar to a custom 404 page to a day-long photo shoot that captured Southeast Polk’s unique personality. 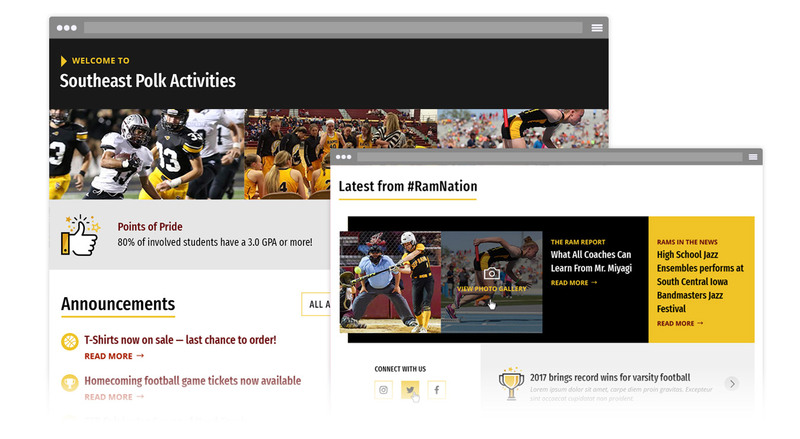 An area of the website dedicated to athletics allows staff to provide updates or post articles to recognize athletes for their on-field success and sportsmanship. 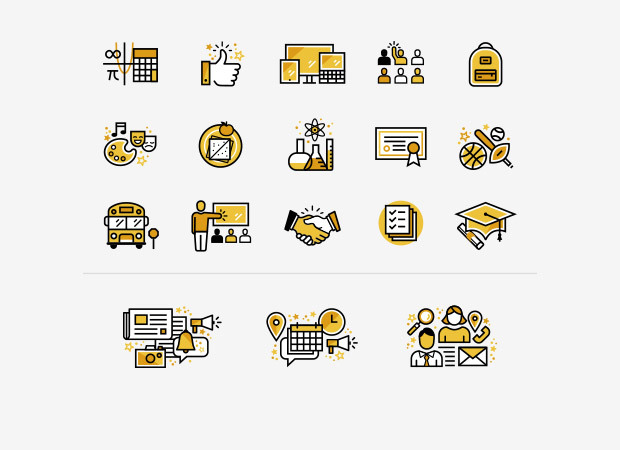 We created a custom set of more than 20 icons to be used on the website as well as for social media and print materials, giving their brand a cohesive approach for every communication channel without ever using cheesy clip art. 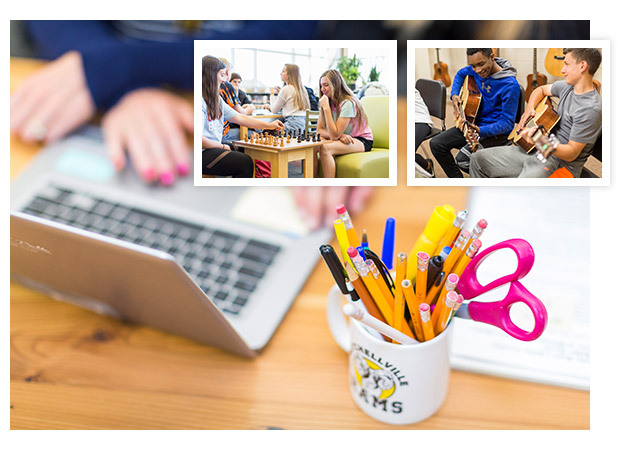 We captured a variety of images for the website during a photo shoot. 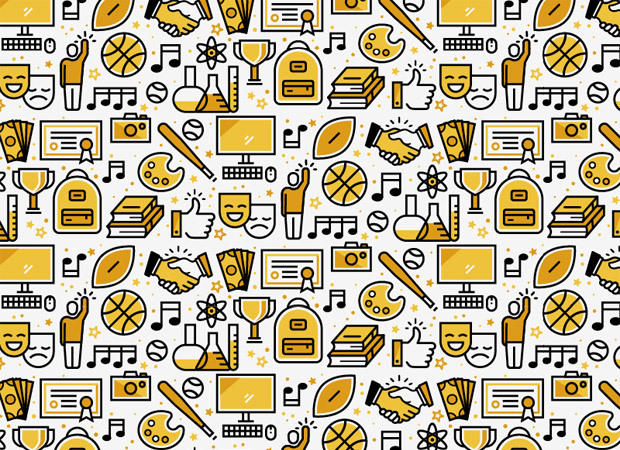 The images highlighted student life and the district’s great facilities.